Kevin the Carrot is undoubtedly one of the hottest toys on the shelf this Christmas. And families across Sunderland were determined to take him home! They woke up early, headed to their local Aldi and grabbed all of the Kevin and co goodies they could find. Maizie Anderson, age 9, from Easington Lane managed to get one of the giant soft toys. 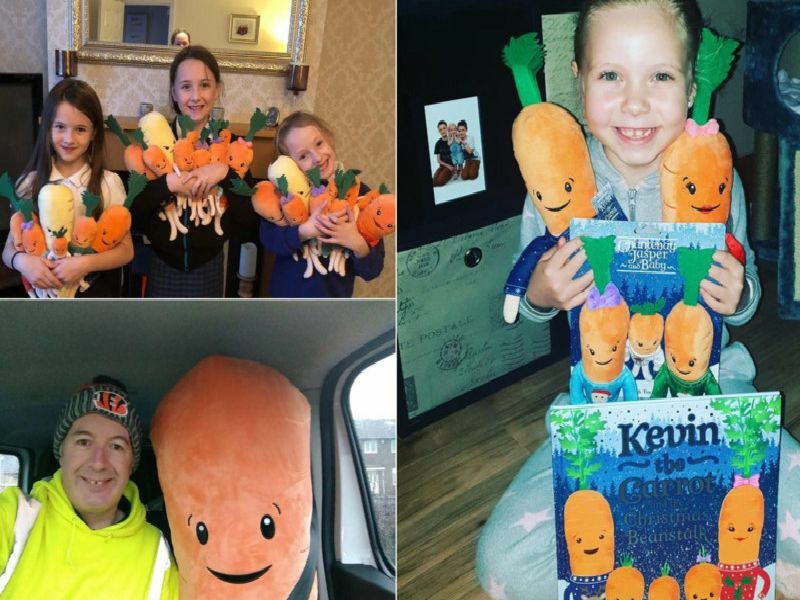 So we asked you for your best Kevin the Carrot pictures. Here are some of our favourites. Matthew with his Kevin the Carrot toy. Picture: Alison Foster. Another happy customer takes home a Kevin toy. Picture: Naomi Turnbull Macdonald. The gang's all here! Picture: Joanne Duffell. Steve Lynn heads off to work with Kevin in tow.